I am going on a trip and I'm going to pack: my biggest friend! What if you could pick your biggest friend yourself while on vacation? Imagine what it would be like to be able to take along any animal you want on your trip. That would be awesome! And it might even be more special if your parents would propose it themselves. Impossible? Not if you are going to build that friend with Clics building blocks! Anything will fit in your luggage with Clics! A giant toy dog, a funny robot that will obey to all your commands or any other toy figure you can think of… It all fits into your bag perfectly and comes along on your trip. Well, almost, since you will indeed take along your holiday friend, but it won’t be ‘finished’ yet. You will soon build it yourself with building blocks, once you have reached your destination. Imagine what your friends would say if you told them you were going on a trip with a crocodile? A giant crocodile for that matter, that will simply sleep in your room. Your holiday friend may be a toy animal or a toy figure, that doesn’t make it less impressive. After all, it is a giant creature, exactly as you want it to be, made with tons of love while having great fun. Indeed, that is the beauty of building with blocks, you can be creative and use your imagination and you can keep on playing with your model, even after your Clics creature has been built. Inside, outside and even while on vacation! And to make sure that everyone will actually believe that you have been on a trip with a crocodile, Clics has got the perfect solution: The Clics building contest! There is always something happening on the Clics website. You will discover the latest Clics, brilliant building plans and our always running building competition? Always running? 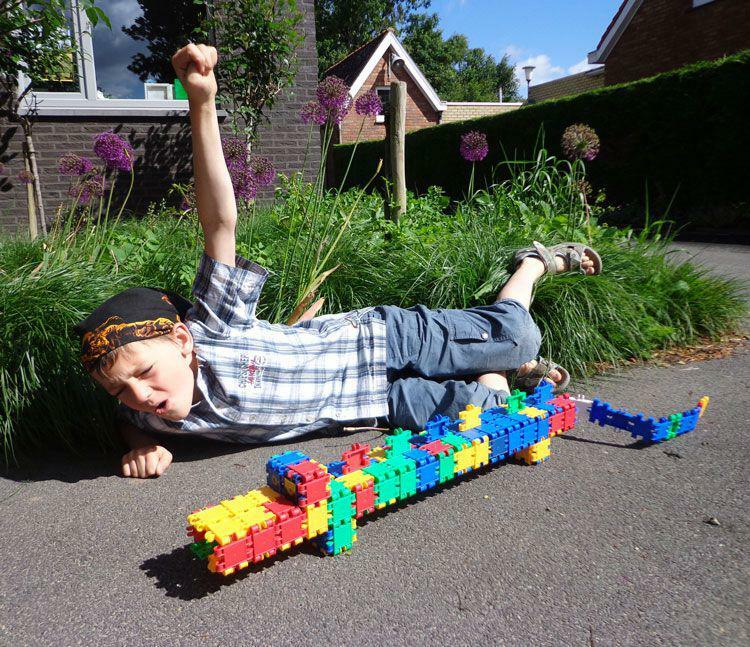 Of course, we know perfectly well that anyone who loves building blocks can’t stop building. How to participate? Ask your mum or dad to make a photo or a movie of your smartest Clics creation. Upload that video or photo on the contest page on the Clics website and wait to see yourself and your creation appear on our website. The best builders get rewarded with a great prize and eternal fame in Clics land of course! Do you also love playing with building building blocks? What are you waiting for? Build a giant Clics model and enjoy the vacation of a lifetime.